When it comes to interacting with and educating supporters, few opportunities are as fun and rewarding as a charity auction. The party-like atmosphere creates an appealing, fun guest experience that naturally encourages people to give. This gathering of your supporters also allows you to educate the public on the work your organization does. Incorporate technology that makes bidding easy. Invite guests who share your mission. Simplify your process with the right event management software. Pick a time of year when donors are inspired to give. Analyze auction results and donor information to ensure future success. The more excitement and fun you can put into your auction event, the happier donors will be to support your organization during a fun night! 1. Incorporate technology that makes bidding easy. As with any form of donation, your supporters appreciate convenience while making their contributions. As you plan your charity auction, look for software that makes the event management process easier. One example: mobile bidding, where guests can bid on charity auction items directly from their phones. Mobile bidding eliminates the need for paper at your charity auction and allows you to offer unlimited numbers of items at your auction. Here's a few more ways mobile bidding makes giving easy. Motivates guests to start donating before the event officially beings. With mobile bidding, you can offer items for auction and fixed-price sale before the in-person auction and afterward, so potential donations aren’t limited to those made in the few hours of the event. Centralize all sales. Your auction isn’t just a sale, it’s a party for your donors! Vary their options for giving and participating by using your mobile bidding program as a way to centralize multiple revenue streams for the evening. That means auction sales, raffle tickets, drink sales, direct donations from inspired donors and more, all paid through the same mobile bidding software. Shorten registration and checkout times. Eliminating paper bid sheets and streamlining tables means cutting down on unpleasant lines. This gives donors more time to select the auction items they want, learn about your organization and discover ways to support your cause. Emailed receipts provide confirmation of your supporters’ donations for their records. Mobile bidding can increase donations from all guests at your charity auction by simplifying the process and getting donors excited about giving. Visit OneCause to learn about mobile bidding and how this technology can make your guests’ experience more enjoyable and your auction management process smoother. 2. Invite guests who share your mission. The ideal auction guest is one who shares your goals and values. Before your auction, conduct donor research to ensure you’re inviting the right guests. Your current donor database is an ideal place to begin when putting together your guest list; you can also increase the number of invitees by conducting prospect research prior to your auction. What is prospect research (or donor research)? Prospect research is the process of gathering information on current and potential donors to learn more about their capacity and willingness to give to your organization. Prospect or donor research data is broadly divided into two categories: wealth markers and philanthropic indicators. Real estate ownership and stock holdings. Real estate is one of the most reliable indicators of wealth, and information on stock holdings—available for publicly traded companies via SEC.gov—can also be a useful indicator of your guests’ wealth. Career and business affiliations. Your guests’ positions within their companies can provide an indication of how much they can reasonably be expected to give. You should also pay attention to their business affiliations, which open the possibilities of corporate sponsorship and matching gifts if you engage these well-connected donors successfully. Political giving history. Even relatively small or one-time gifts to political campaigns are indicators of wealth, so your organization will likely want to invite any guests who have histories of political giving to your charity auction. While it’s important to invite guests to your auction who are capable of making significant donations, your organization is looking for those who also share your passion for your cause. Philanthropic indicators can help show your organization whether a potential guest is likely to donate to your cause. Past support for nonprofits, including yours. The strongest indicator of whether one of your guests will support your organization is whether they have donated to you in the past. Potential donors who have supported similar nonprofits but may not have discovered your organization yet are also great invitees. Other involvement with nonprofits. Active volunteers have demonstrated their commitment to causes like yours and are often happy to show their support by becoming donors. Activities, hobbies, and interests. Prospect research can tell you who among your potential guests participates in activities or has expressed support for causes and organizations like yours. Your charity auction presents an opportunity to build relationships with new and current donors dedicated to the work you do. So event promotion is a great time to update attendees on your most recent progress and revitalize their interest in your mission. Once your guest list is filled with donors potentially willing and able to give, your charity auction can begin! 3. Simplify your process with the right event management software. 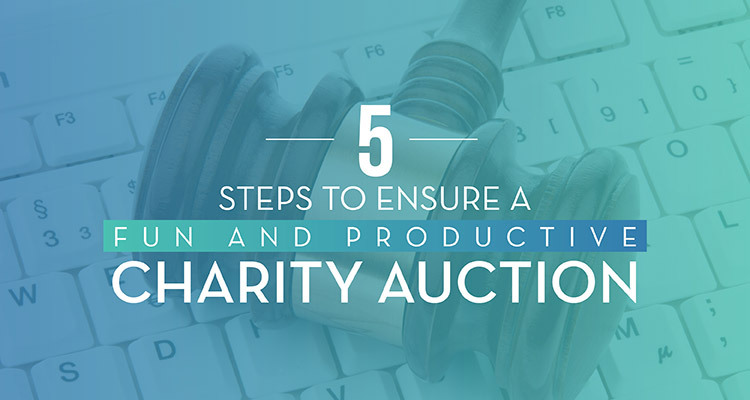 Your charity auction will be most successful if your donors are able to enjoy the lively atmosphere and focus on the good work they are doing for your organization. With the right event management software, you’ll make participation easier for your guests and carrying out the event easier for your organization. Does my event management software facilitate all parts of the process, from registration to checkout? If your event is ticketed, ensure that you choose a software with ticketing capabilities. You’ll also want to look for one that stores relevant information in your donor database so that you can stay in touch with your attendees after the charity auction is over. What charity auction-specific features does my event management software offer? Mobile bidding encourages increased giving by making the charity auction process simpler for guests and saving them time during event registration, bidding, and checkout. You’ll appreciate the ability to add unlimited numbers of items to your auction and easily manage sales and payments. Can I use my software to encourage other forms of giving? Event management software that offers text-to-give service to guests provides them with the opportunity to donate before the charity auction and after it ends, from wherever they may be. Check out re:Charity’s list of the top fundraising software solutions to explore some of your options and decide on the event management software that’s right for your charity auction. 4. Pick a time of year when donors are inspired to give. Now that you have identified the donors most likely to make your charity auction a success and have event management software in place to ensure that the auction runs smoothly, it’s time to set a date for the auction. Hot Tip: While your organization can succeed with a well-planned charity auction any time of year, consider an end-of-year event to give donors additional motivation. The end of the year—from Thanksgiving through the end of December—is the busiest giving season, and for good reason. Donors are eager to complete their gifts for the year, and many are inspired by the messages of charity and giving that proliferate during the holiday season. Hosting a charity auction allows your organization to attract donors during a busy giving season by offering them a way to celebrate seasonal festivities and give back at the same time. Every nonprofit is asking for donations at the end of the year, but your organization can stand out by hosting the season’s most special event. Year-end giving is often associated with dressier evening fundraising events, like charity auctions, meaning your donors will be in the spirit of the event at this time of year. You can also take advantage of the season by choosing a holiday theme for your event, which may encourage some donors to give more than they would at other times of the year. After your charity auction is planned and scheduled, it’s time to enjoy the event with your donors and strengthen your relationships with supporters eager to contribute to your mission. 5. Analyze your auction results and donor information to ensure future successes. Once your charity auction has ended, it's important to take a moment and celebrate your fundraising success. Then, to make sure your next event goes just as well or better, evaluate the results of your charity auction and add the donor data you have collected into your database. To evaluate your charity auction, look for fundraising event software that generates reports for you after your event has ended. You’ll see sales records for your auction items as well as supplementary items like raffle tickets, drinks, and additional donations. Determine what was popular with your attendees and what needs to be reworked before the next auction. Additionally, ensure that your software integrates with your existing donor database so that your attendees’ information is accessible. 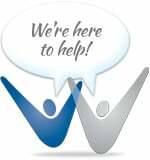 You’ll want to add them to your email or mailing lists, especially if they made significant donations at your event. Analyze your results carefully and keep in contact with your attendees to strengthen your future fundraising strategies. A charity auction is a wonderful way to engage current and potential supporters in-person and collect donations in a fun setting. Whether you’re using the event to conclude your fundraising year or introduce new donors to your organization, with planning and the help of the right event management software, your charity auction is sure to benefit your nonprofit. 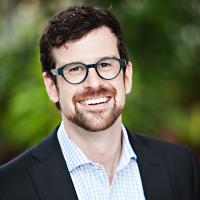 About the Author: Joshua Meyer brings over 14 years of fundraising, volunteer management, and marketing experience to his current role as the Director of Marketing for OneCause. Currently, as a member of the OneCause sales and marketing team, Josh manages all of the firm’s marketing efforts. He has a passion for helping to create positive change and loves that his current role allows him to help nonprofits engage new donors and achieve their fundraising goals.